The indie-rock group from West Virginia known as Rock Bass have released their newest LP album, “Like the Fish.” It is the third official full length from Rock Bass in a repertoire also including “The Adventures of Space Dog,” “Garbles,” and the seasonal EP, “A Rock Bass Christmas.” Like its predecessors, “Like the Fish” has been proudly published on the Try Catch Records independent music label without the direction of the corporate music industry. Warm, bright, grooving, and packed with the good humor fans have come to expect, “Like the Fish” proves Rock Bass is a name to watch in 2018 and beyond. Morgantown’s Rock Bass cite as main artistic influences Weezer, the Beatles, Led Zeppelin, Elvis Costello, and They Might Be Giants. Smooshing these groups together in the imagination arrives at a sonic likeness very close to the Rock Bass experience. They’re fun, clever, danceable, and family-friendly while holding the interest of mature audiences with witty quips, pop-music hooks and undeniable melody lines. Also adding to the allure of Rock Bass is an almost tangible music expertise running through “Like the Fish” and the rest of their recordings. Every note, beat, measure, harmony and lyric feels and sounds surgically precise, calibrated, balanced, deliberate almost to a fault but ultimately faultless. This makes sense. The band are no greenhorns. Nevertheless, Rock Bass – need it be said? Bass like the fish, not like the guitar – have only been together six years. Averaging slightly better than an official release every two years, they’re an active crew with lots of creative energy yet to spend. Rock Bass are Canon Fazenbaker (vocals / guitar), Kevin Poling (bass), Steve Yokum (drums), and Lee Dunn (guitar / vocals). West Virginia’s Rock Bass have been prominently featured on both WCLG and WOAFM99 radio, as well as on the popular WV Sound and Sonic-Smash Music blogs. Rock Bass also wrote and recorded the theme song for the alternative-rock Allegheny Mountain Radio program, Alternate Transmission. 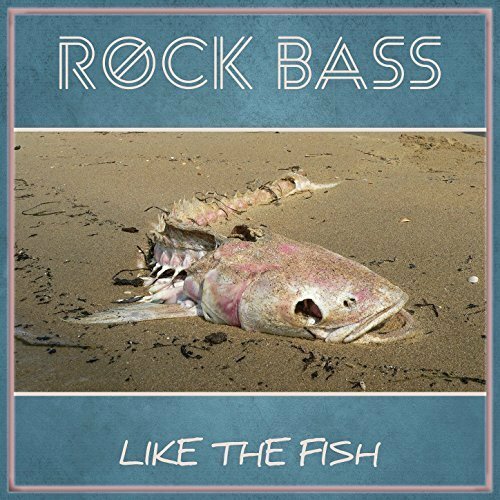 “Like the Fish” from Rock Bass is available from over 600 quality digital music retailers online worldwide now. Get in early, alt-rock and indie music fans.